Grant Thornton differentiates itself on a popular topic by presenting a compelling case for what sets Growth Generators apart from the mainstream. 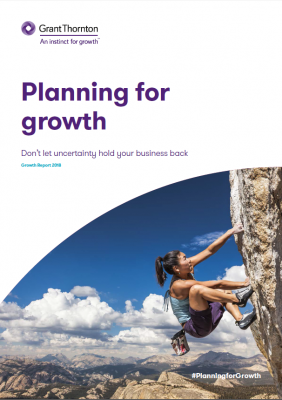 The title page makes it very clear what this POV is about and the subtitle —”Don’t let uncertainty hold your business back”— is engaging, especially in the current business climate. Right from the outset, readers will be in no doubt about the target audience, or what the publication will deliver. The structure is simple and effective and the style works well with short paragraphs, simple sentence structure and clear, succinct vocabulary. Underneath this effective presentation sits robust analysis and insightful contributions from both internal and external experts.